Late 2011 saw the release of a very special album that most longtime fans of The Time never expected. 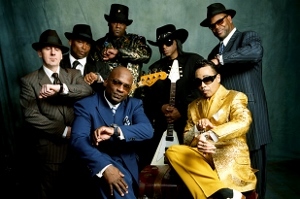 Condensate was a full-fledged reunion, with all seven original members—lead singer Morris Day, his right-hand man Jerome Benton, keyboardists Jimmy Jam & Monte Moir, guitarist Jesse Johnson, bassist Terry Lewis, and drummer Jellybean Johnson—together for their first new recordings since 1990. In 2012, I had the opportunity to discuss the album (credited to The Original 7ven) one-on-one with Jimmy Jam. The resulting interview ran on The Morton Report, split into parts one and two. Beyond the reunion, we discussed the history of The Time and their association with Prince. In addition, we touched on the numerous achievements of Flyte Tyme Productions. Together with partner Terry Lewis, Jam produced a staggering 16 Billboard number one singles (including nine with Janet Jackson). Hearing these stories directly from Jimmy Jam was an incredible experience. 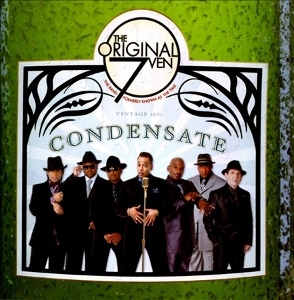 Whatever has or has not transpired with The Original 7ven since the album’s release, the fact remains that Condensate is a great funk record and fans are lucky to have it. Whether or not the band (under any name) works together again, the reunion is worth celebrating. What follows are a few extra bits and pieces from my talk with Jam that weren’t used in the previous interviews (linked above). CINEMA LOWDOWN: The Time first reunited onstage in 2008 for a performance on the Grammy Awards telecast. Was that difficult to organize? JIMMY JAM: My analogy has always been, when you see a friend and say, “Oh, we need to get together sometime.” And “sometime” never happens if you don’t schedule something. “Okay, here’s the date. Are we going to get back together for this?” Eventually everyone came around. CL: Since it was all seven original members, did that one-off performance plant the seed for what became Condensate? JJ: I just didn’t really want to do it if it was only four of us, or five of us, or whatever. So when we were able to accomplish that [full reunion], it was the first step. CL: Later that same year, you guys did a string of shows at the Flamingo in Las Vegas. JJ: That was fun, the perfect place. Plus Morris lives in Vegas. We brought our families together and did the whole thing. CL: And sessions for the new album followed? JJ: We said, “If we’re going to do this, let’s do this.” We couldn’t walk through an airport without someone coming up to us saying, “When are you guys getting back together?” So I’ve got to say, the fans had a lot to do with it too. CL: With you all living in different parts of the country, how hard was it to coordinate recording sessions? JJ: We were able to get stuff done. Me and Terry would go—or Jerome would join us—we’d go to Vegas sometimes and catch up with Morris out there to do vocals. Sometimes if we came up with a track, we’d send it over to Jesse so he would do his guitar stuff. Sometimes Jesse would come over to our studio. So it was really whatever combination worked on any given song. That’s the way we would do it. CL: Playing those 15 shows in Vegas must’ve really helped you all get your sound together again. JJ: Yeah, we [also] did a gig in Detroit. We played a gig in Minneapolis. I think we played a couple more gigs in Vegas. CL: Condensate is the first Time album without any participation by Prince, which I understand was not by design, but rather a matter of circumstances. JJ: When we were making the record, we were actually thinking that he’s going to like the record, and you know, [say] “You guys did good.” I think he’s sent out messages, as he does sometimes, that he enjoyed seeing—or I don’t know how he saw it, because I don’t think he was at our shows—but that he enjoyed some of the shows we did. CL: Yet he didn’t let you guys call it The Time? CL: In addition to the name issue, Jesse Johnson’s departure shortly after the album’s release seems like another roadblock. JJ: Jesse will always be a member of the family. Somebody decides to leave and do different things and go a different way. We support him. We’ve had a long enough history together to realize, at least on our side we realize never say never. 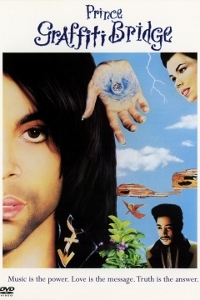 CL: Looking back to the 1990 film that Prince directed and The Time co-starred in, Graffiti Bridge, you’ve said the music is great, but the movie not so much. JJ: Because that’s what Prince does so well. I think he could edit a movie great, because I think he’s got the right sensibility to do that. But to actually tell a cinematographer or art director what to do, I didn’t think he really had the communication skills to do it and I think the proof was in the pudding. CL: Can we hope to someday hear more Jimmy Jam and Terry Lewis collaborations with Janet Jackson? JJ: I think we have the right idea for her at this stage and I think the time away from her—being away from Discipline [2008 album]—that is probably good. Because as producers me and Terry, whenever we work with somebody established, we kind of look at them as fans [of theirs]. That was the approach with the Original 7ven: “This is what I’d like to hear if I could hear the first Time record in 20 years.” And then create that record. So I think we’d like the opportunity to do that with Janet, and I think we have some great ideas. So we’ll see. We’ll see what happens. For more information about Jimmy Jam and Terry Lewis, visit the official Flyte Tyme Productions website. For more on The Original 7ven, visit their official site and their official Facebook page.